In this week’s machinery news we take a closer look at new models from Claas, Bobcat and Albutt. 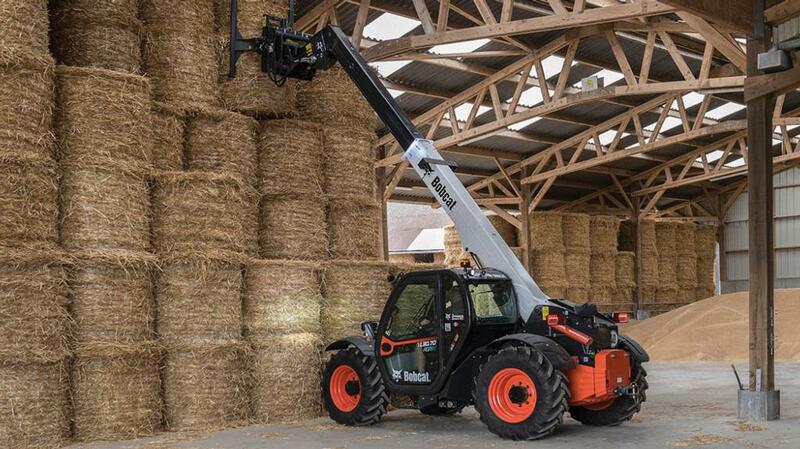 Extending its agricultural telehandler range, Bobcat has introduced a new model, the TL30.70 Agri. Designed with confined working environments in mind, the new model features compact proportions, but can achieve a lift capacity and reach of three tonnes and seven metres (23ft) respectively, says the manufacturer. 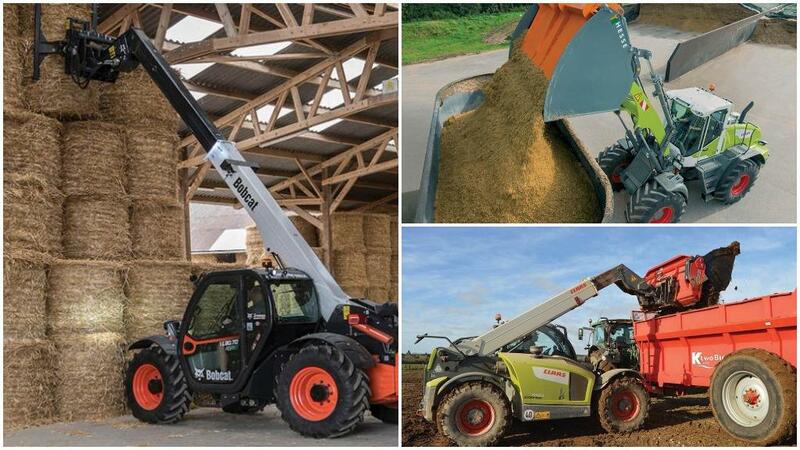 The TL30.70 is part of a six-model telehandler range, covering maximum lifting capacities from 2.6t to 3.8t and lifting heights of 6-7m (19.6-23ft). Like the existing TL26.60 and TL30.60 models, the TL30.70 is available with two different overall machine heights. This is achieved via a cab which can be mounted in two different ways; low or high. If headroom is an issue, the low position affords an overall machine height of 2.1m (6.9ft) when fitted with 24in tyres, while the high position is recommended for extra visibility. When fitted with 24in tyres, overall width is less than 2.1m (6.9ft). New features include an automatic park brake, reversing fan with adjustable cycle times and boom cushion retract, which slows down boom speed when it is nearly fully retracted. Providing drive to the wheels is a two-range hydrostatic transmission, with on-the-go range changing ability offering infinite speed selection up to 40kph (25mph). It also enables 17t to be towed when fitted with a trailer braking system. Two engine options are available for the TL30.70, both powered by Bobcat’s own 3.4-litre, four-cylinder, D34 engine. If the machine is mostly carrying out yard work, the firm recommends its 75hp, Stage 3b option, which requires no AdBlue, reducing running costs. If more power is required, a 100hp, Stage 4 option can be specified, featuring a higher level of exhaust after treatment. Available now, the TL30.70 is covered by a three-year/3,000-hour warranty as standard, with the option of extending this to five years/5,000 hours. Aiming to offer an alternative to high-tip buckets, Albutt has developed a clamshell bucket. As the bucket opens to release material, instead of tipping up, as with conventional high-tip buckets, the firm says the load centre is kept closer to the loader, allowing more material to be carried. The two hydraulic rams which open the bucket are mounted high up and feature shrouds to prevent muck being forced into ram seals. Also, as there are no recesses in the bucket’s base to accommodate the rams, dense materials have less chance of sticking in the bottom of the bucket, says the manufacturer. Two models are available, offering 2cu.metre and 2.5cu.m capacities. A hefty loader is likely to be required, with the Hardox and Domex steel constructed buckets weighing in at 1,070kg and 1,150kg, respectively. Retail price is from £6,900. 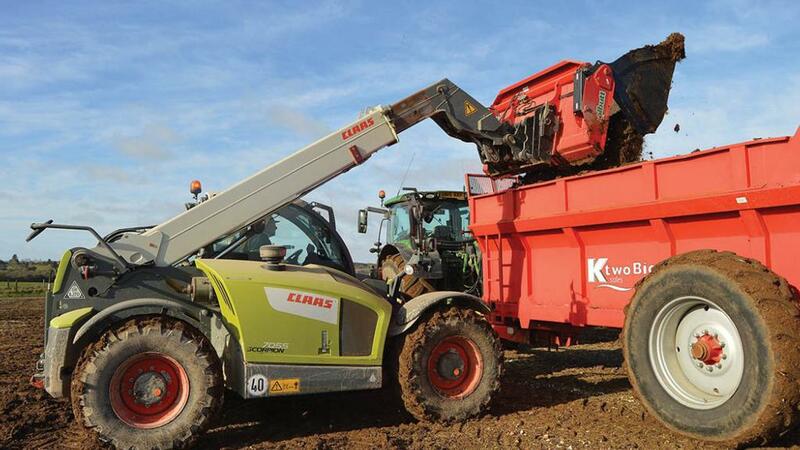 Another firm offering an alternative bucket for loaders with limited reach or height is Claas with its Smart Push system. 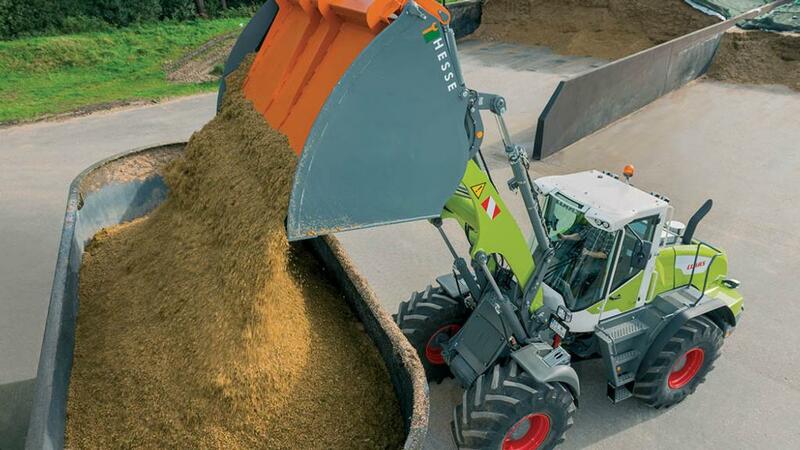 Unlike the Albutt system, Claas’ offering uses a hydraulic-moving headboard to shove material out of the bucket in a similar fashion to a push-off buckrake. A clever split backboard is used to accommodate for the arc movement as it extends out. In total, two ranges offer 12 models from 1.6cu.metres to 4.1cu.m. An additional five smaller models are available, which feature a top grab section to suit the firm’s smallest Torion wheeled loader range.